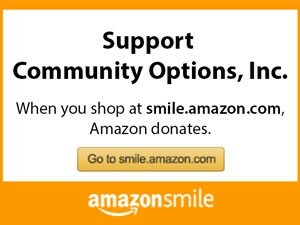 Annual Fund | Community Options, Inc. Consider making a gift to our annual fund! Annual Fund gifts allow Community Options to fulfill its mission of providing housing, employment and support services, and advocacy assistance to help empower people with disabilities. Your 100% tax-deductible gift will have a great impact on the lives of people with disabilities.